Typhoon Haiyan in Philippines took the country by storm killing more than ten thousand people in three days. Natural calamities result in widespread devastation of the affected area. There is little one can do to prevent such natural calamities. Some calamities are predictable, while others aren’t. However, emergency preparedness can help reduce the intensity of destruction. Authorities can use disaster maps to warn citizens to take appropriate measures by predicting climatic conditions and pinpointing the location of areas prone to impending disasters. Journalists can do their bit by sharing the location of hospitals, evacuation centers, disaster relief camps, and blood banks in their live reports. All of this can be made available to the public in a visual form – in the form of infographic maps! Maps play a great role in disaster management. They can be used to forecast calamities, collate data, create easy-to-read infographics and highlight key issues of the affected areas. Creating a disaster map infographic from scratch can be time consuming. Editable PowerPoint maps allow users to create interactive climatic change maps with vital information quickly. Take a look at some of the natural disaster maps of various countries. 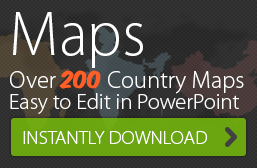 See how editable maps are converted into information-rich graphics. 1. Australia received a national disaster map for bushfire alerts, thanks to Google. 2. This map shows the flood risk levels across Britain. 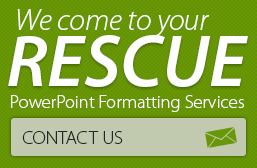 The editable PowerPoint maps was used as the basis for making the above sample slides. Buy and Download from our PPT slide store today!